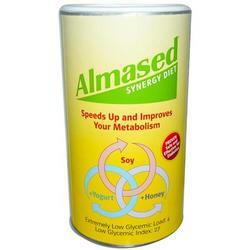 Save on Almased Synergy Diet Powder (1x17.6). Safe, effective weight loss solution that boost energy & preserve muscle mass. This decriptions is informational only. Please review the actual product for ingredients and suggested serving prior to use.